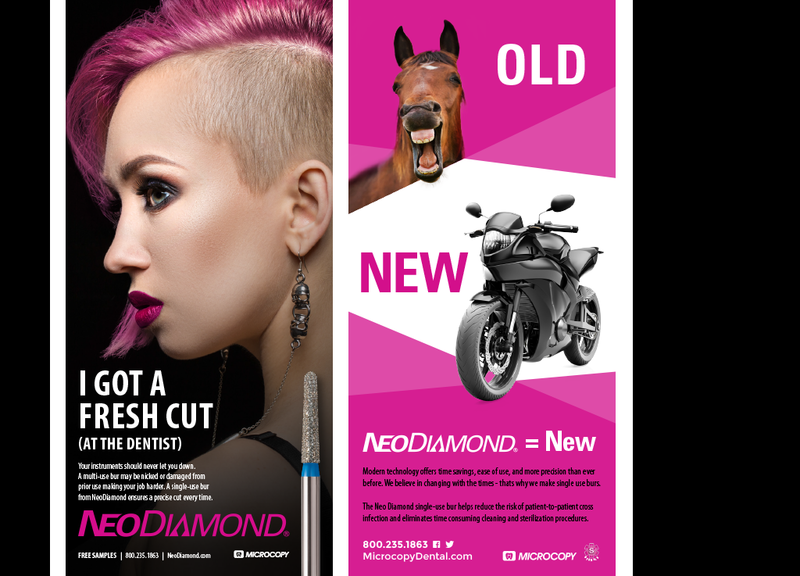 Since 1970, Microcopy has been at the forefront in the design and development of diamond and carbide burs for the dental industry. 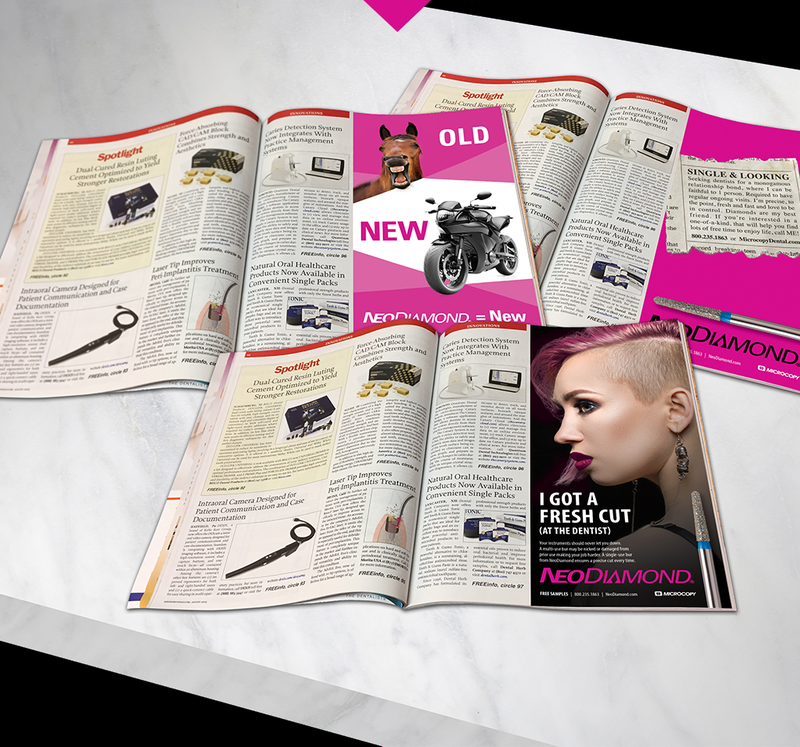 Their NeoDiamond product line is America’s #1 selling diamond, ranked as the highest rated, best performing, single-patient-use diamond available. 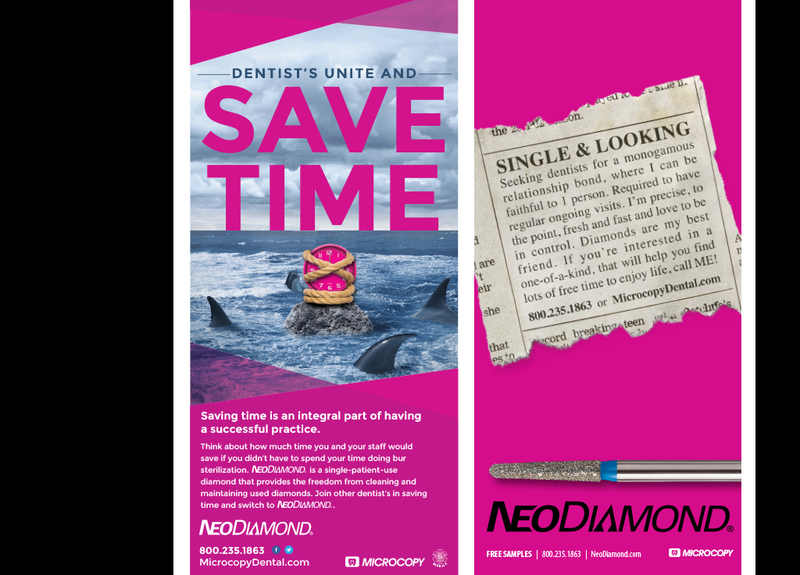 Their challenge was to get the dental community to take notice of this cutting-edge (no pun intended) piece of technology, so they reached out to id8 for ad designs that would stand out from the typical ads seen in dental publications like Dentistry Today. 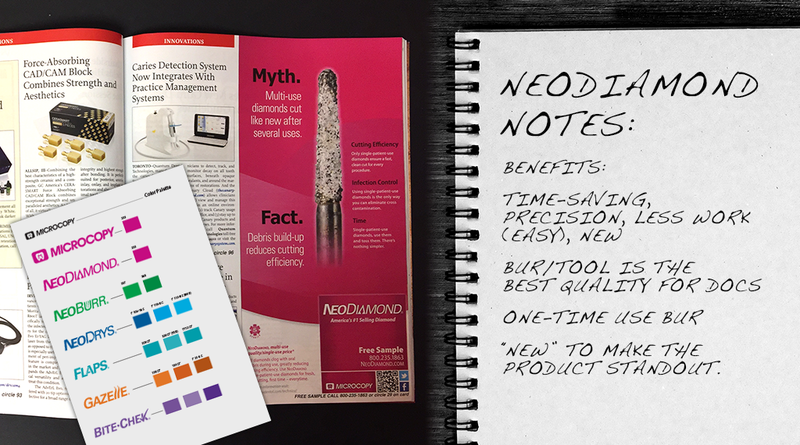 After spending time with the client to gain a full understanding of the NeoDiamond brand, its target audiences and its competition, the id8 team created design concepts that highlighted its most relevant benefits—benefits that would resonate strongly with the target market. The four top ideas were then fleshed out to include imagery, headlines, and copy, which were then reviewed internally to ensure they hit on all points. Did they embrace the overall vision? Were the ideas translated well? Were they compelling? And did they support the brand? The team then presented the concepts, along with the research and thought process behind them and how they could be extended into future marketing initiatives. The client was immediately impressed because, after working with id8 only one time, it was clear that the team “got it”—quickly and methodically gaining an understanding of the brand, audiences, and their unique differentiators, and then translating that understanding into a compelling and exciting ad campaign. The client loved not one, but three of the concepts, electing to use them all in the campaign.